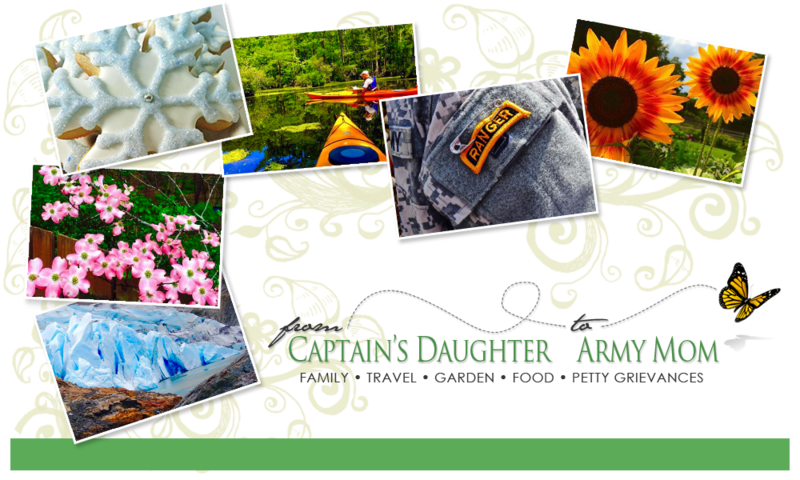 From Captain's Daughter to Army Mom: Get Ready to Blog-Hop! I am so excited to announce our Spring Blog Hop! Whether you’re looking for Inspiration for your Spring and/or Easter tables this year or just need new ideas to pad that, Some day I’ll bake/create that file in your library… You’ll want to Hop with me beginning tomorrow, and keep hopping through eight full days of sweet treats, Inspired ideas and freebies. Even I have a give-away Sponsor to tell you about! Monday 03/22 – To kick off the fun we have Diane from, Created by Diane. You will find Diane usually up to her elbows in flour and sugar as she creates cookies, cupcakes and other yummy treats. Diane amazes me daily through her blog - Despite all she has to do for her busy family and business, Diane never fails to come up with ideas that keep me flexing my own creative muscle. Tuesday 03/23 - Finds us visiting with Liz from, Hoosier Homemade. If you need cupcake ideas, you can find more than 50 cupcake creations, (and counting!) on Liz's blog... Plus budget-friendly meals and tips to make your house a warm and inviting home. As if that weren't enough to keep me hooked, Bing is always nudging me back to Liz's blog because he's secretly in love with her Kali and is always hoping for a new photo of her! Wednesday 03/24 - Half way through the first week you'll be raring to go with Shelley from, How Does She. If you've ever wondered, How Does She? you'll find the answers at Shelley's blog. Find out just how this dynamo Crafts, Cooks, Bakes, Celebrates the Seasons and Cares for her family... The list of things Shelley manages to do beautifully is long, and the answers to, How Does She are plentiful! Thursday 03/25 – Yours truly, (that's ME!) will do her best to keep up with these incredibly talented ladies by sharing Easter sugar cookies I hope you'll find worthy of your Celebrations. The very kind proprietors of Kansas' very own, CopperGifts.com have generously provided this former Kansas-girl with everything needed to create and decorate the most darling Easter cookies - Cookies I think that are truly Gift-worthy! There is still time for you to place your order in time for Easter... But not much, so Bunny-hop on over, Here! Friday 03/26 – Finishing the first week of our Spring Hop is Cindy over at, Skip To My Lou. Cindy tells me, “From hosting a shrimp boil, celebrating holidays, making homemade scratch art paper, sewing gifts and throwing parties to cooking delicious food, you will find it all at Skip To My Lou. The site is full of free patterns, downloads and plenty of inspiration. Craft, Create, Celebrate… Skip To My Lou is a place to fulfill the passion for sharing the best in life.” Cindy really knows how to deliver on a promise, so Skip over to her blog soon! Monday 03/29 - Starting the new week off is Amanda from, i am baker. Amanda's baking/decorating talent is no secret... She's been featured on her local TV morning show more than once. And one peek at her blog, and you'll understand why! Amanda shares her favorite-ever cookie recipe and the fun, new, easy and show-stopping ways to present her cookies that, if you follow her lead, will make you the hit of any gathering! Tuesday 03/30 – We’re back with Liz at, Hoosier Homemade for a second dose of her wonderful creations... Because clearly, once is not enough! And Bing's still hoping for a another glimpse of his love, Kali! Wednesday 03/31 - Bringing our Spring Blog Hop to a close is Shelly from, Cookies and Cups. Shelley describes her blog by saying, “My blog is designated to all things sweet. 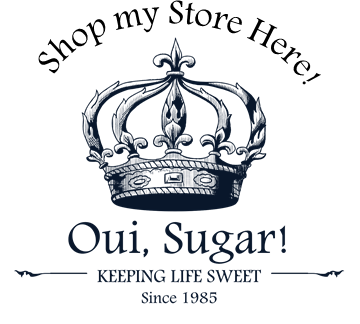 My favorites are cookies and cupcakes but I do not discriminate when it comes to desserts; however, the cuter the better!” And, I have to tell you, there are many cute things to see and try at Shelley's blog. My favorites so far are the tiny Cupcake toppers Shelley creates using only fondant and her incredible imagination! See?! I said it would be a Fantastic hop... So mark your calendar right now! You won’t want to miss the fun... And, to ensure you don't, please check back every day for a link over to the day’s Featured blogger! Janet, this is just great!!! I'm so excited, I can hardly wait! Well currently I only subscribe to two of those blogs and one of them is you! THat might change over the next few dayss. I'm looking forward to seeing wha tyou ladies come up with. Happy Spring! This is great! 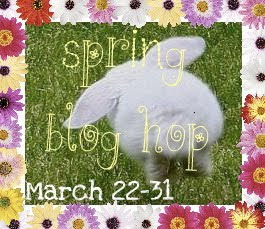 I am SUPER excited to start blog hoppin' tomorrow! I cant wait to see your Easter cookies. I'll have to let some of my friends know about the "hop." They have all started to look at your blog too...I am hooked on your amazing cookie creations. I am envious of your talent. Maybe I can learn some tips from the blog hop. Have a good week! Great job Janet!! You put everything together so beautifully, and I cant wait to see your gorgeous cookies!! I've got to get back in the LOOP of things and figure out what this is all about!